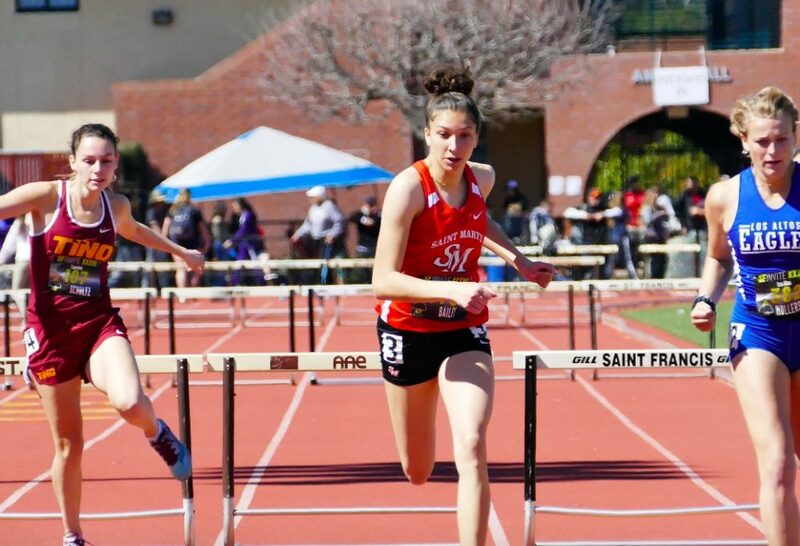 With the sun finally out and the student body back in school after 2 weeks of exams and enrichment activities, the track & field team looked like their old self… scoring numerous wins and breaking several records at the 36th annual St. Francis Invitational in Mountain View. Copes, the transfer sophomore who the coaches see as “very talented”, had a huge day on Saturday. 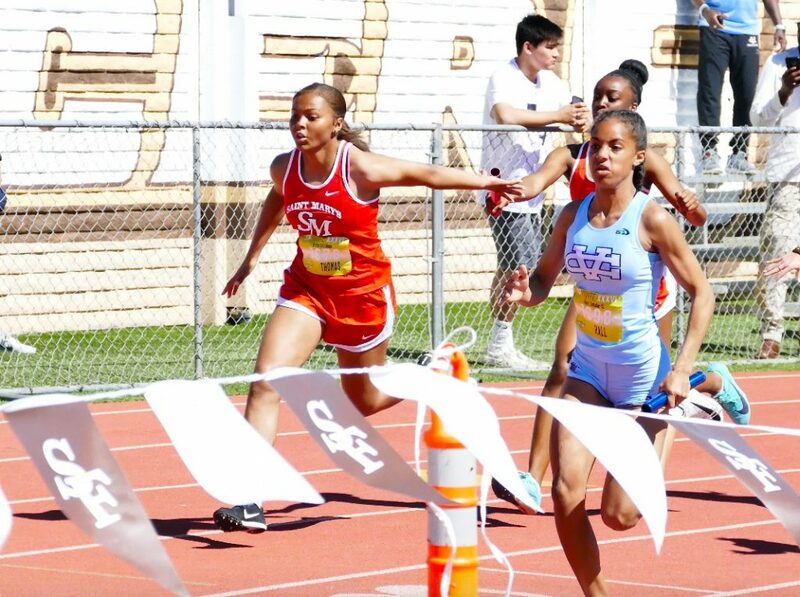 Along with winning the open 400 (51.75) and 300 hurdles (41.10), KJ also anchored the victorious 4 x 100 and Sprint Medley relays. 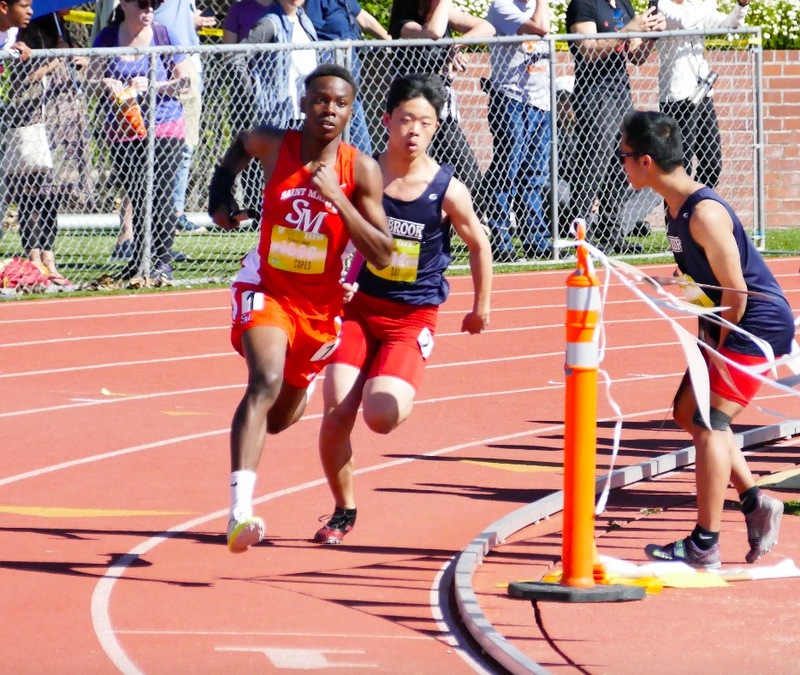 In all, his 4 victories made him one of the top athletes of the entire meet. Fellow sophomore Di’Niko Bates also had an impressive day. Di’Niko finished 2nd to KJ in the 300 hurdles in a PR 41.76 while also running big legs on the 4 x 100 and Sprint Medley teams. Sophomore Brandon Bazile and freshman Julian Womack-Batzdorf completed the relay quartet… both running very strong legs for the Panthers. 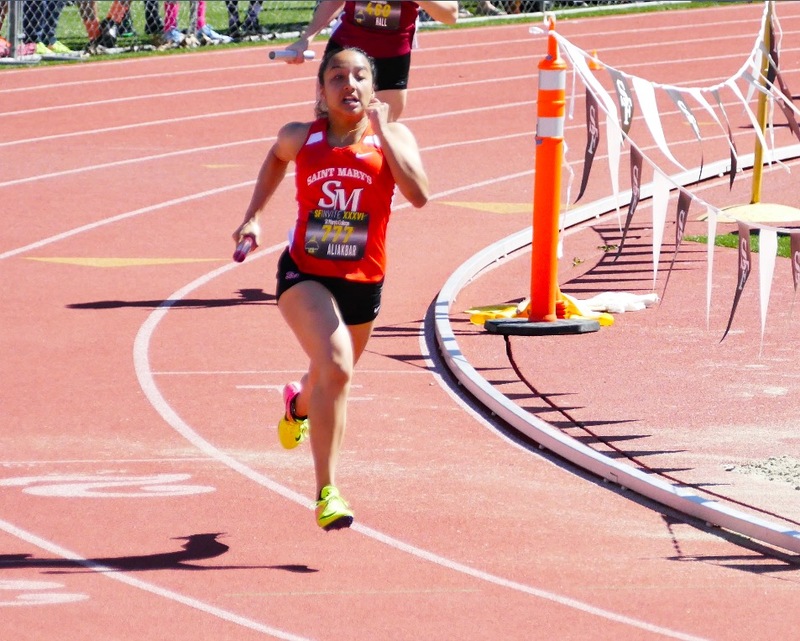 The girls relay teams, both frosh-soph and varsity, enjoyed record-breaking runs on Saturday. 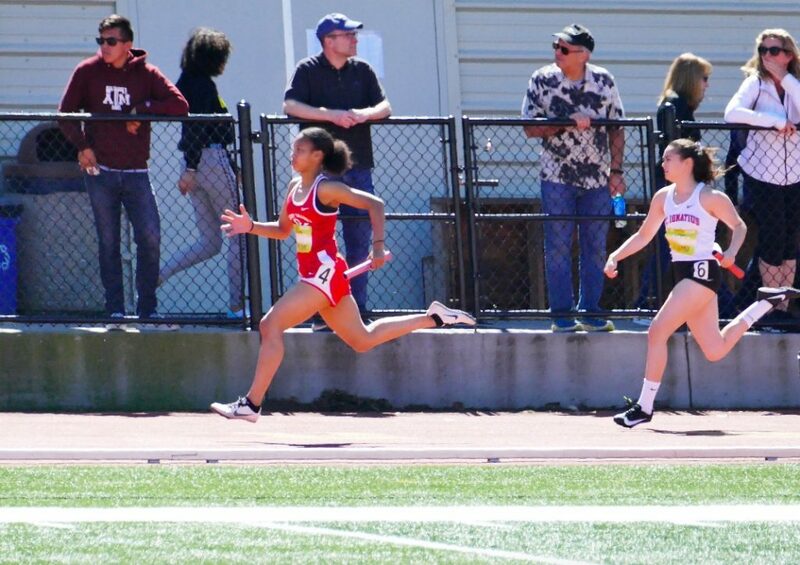 The girls frosh-soph 4 x 200 team of Hailey Vines, Anela Thomas, Maddie Dwyer and Najah Williams smashed the old meet record by :08 seconds.. running 1:48.27 for the win. 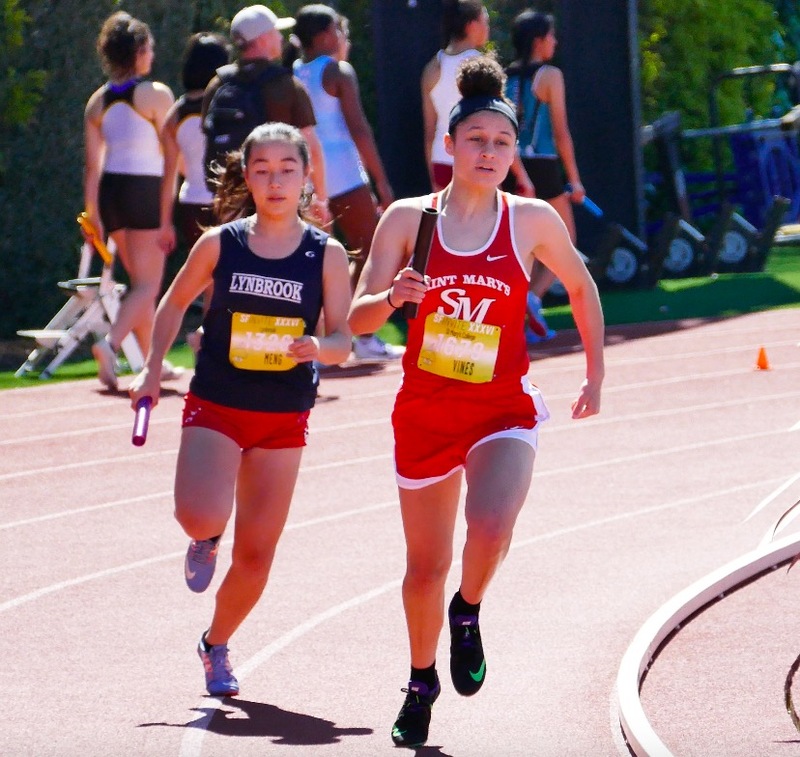 The same 4 x 100 team (minus Hailey, add Julia Alexander) finished 3rd in 52.20… while the Sprint Medley team of Heaven Mitchell, Hailey, Anela and Maddie Dwyer finished 2nd overall. The varsity girls, meanwhile, also broke the 4×200 meet record. The team of Jillian Aliakbar, Sofia Bailey, Kaia Gant-Hatcher and Sophia Alexander ran 1:46.68 to break the record by about ½ second. 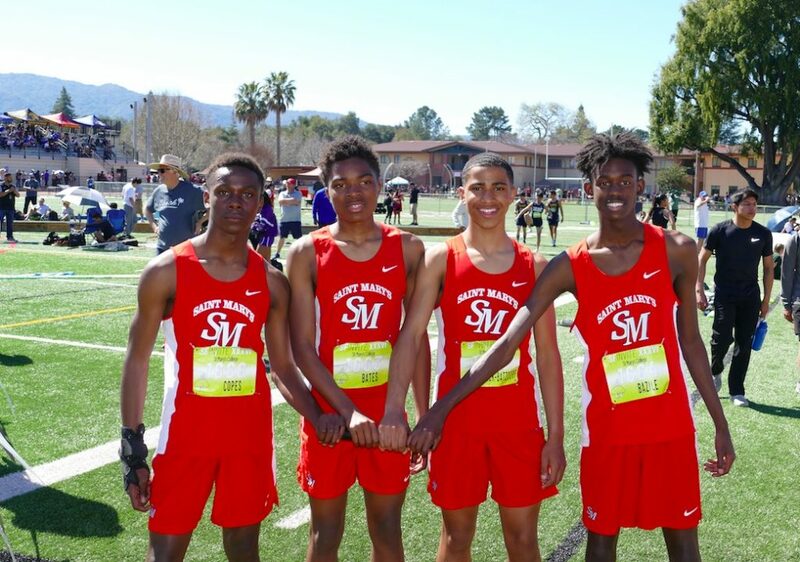 That same quartet also won the Sprint Medley relay by almost :04 seconds… winning in 1:51.78. 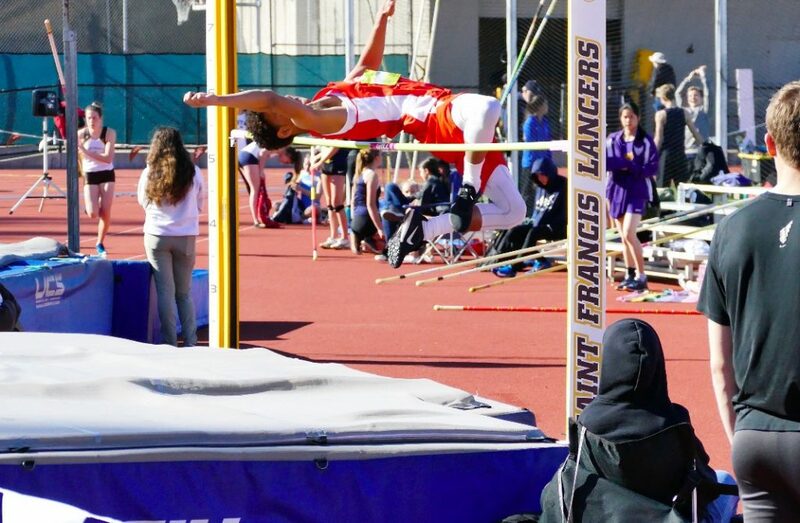 Highlights from the field included: shot-putter Ericka Marbley throwing a PR 28’4½”, sophomore Simone Rogers finishing 3rd in the girls high jump (5’0”), as did senior Zach-Deering-Haddix (6’0”)… and freshman Amir Cross clearing 5’6” for his second consecutive solid performance. 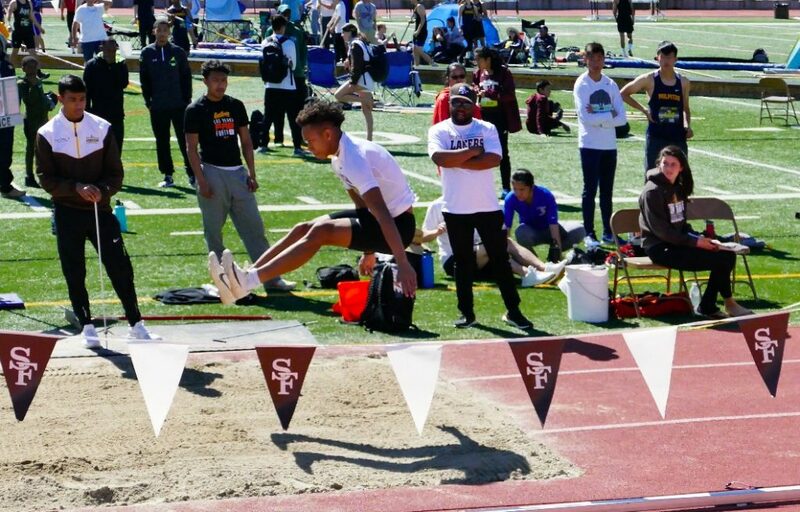 Next up for the Panthers is a TCAL meet against Jesse Bethel, Pinole Valley and Hercules.